Environmental conditions, vandalism or mechanical damage may occur in the lifetime of your fixtures. We want to make it easy for you to obtain original Integral Lighting parts for these unfortunate circumstances. Please visit Replacement Parts and Bulbs to obtain parts in a safe and sure way. 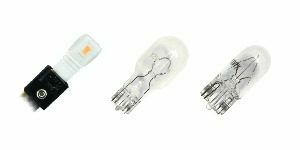 All distributors, installers and end-users of Integral Lighting will have a source for replacement parts for all of our products. New product inquiries and purchases continue to be satisfied through our Authorized Distributor network. Visit our Distributor Locator to find a location near you.